Located on the facade of Mile High Spirits in the heart of the Ballpark Neighborhood, this mural was painted during their annural "Mile High Spirits Music Festival" in October 2018. 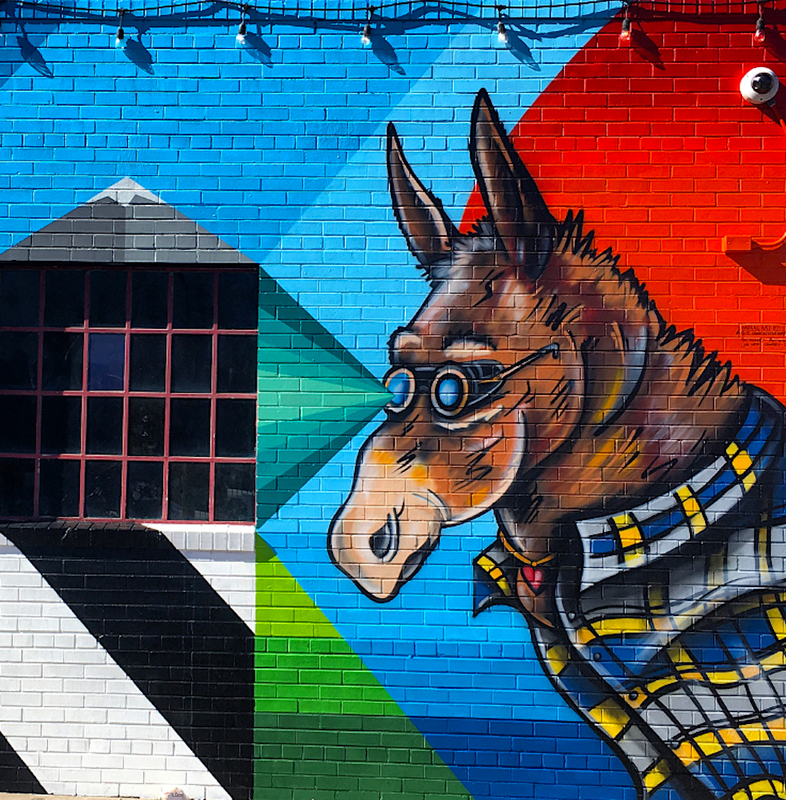 The piece, which will become part of a larger mural that will eventually encompass the whole building, is a nod to their "Punching Mule" canned Moscow Mule drink. The team fought against the elements with this mural and finished right before a snowstorm hit but were psyched to get some shots of it in the snow. Designed by Pat Milbery and Pat McKinney and painted by Milbery, McKinney, Josh Deitchman and Lee New.